Guernsey FC dropped points for only the second time this season as they drew 1-1 with Horley Town in the Combined Counties League Premier Division. Dave Rihoy gave an under-strength Green Lions side the lead after 19 minutes, but Horley's Ben Herdman equalised just two minutes later. 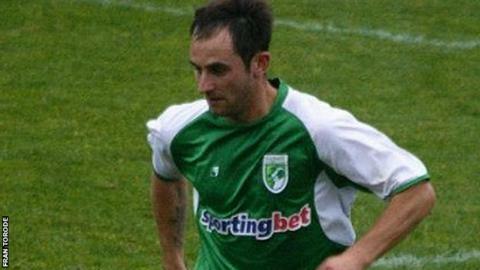 Guernsey drop to second in the league, two points behind leaders Badshot Lea. Tony Vance's side will host Badshot in 10 days time in a game that could be key in the title race. "We would have hoped for a victory, but I'm very proud of the players performance and efforts," Vance told BBC Guernsey. "We couldn't quite break down the team we played, they defended very well. "In some ways it's probably a point gained rather than two points lost," Vance added.